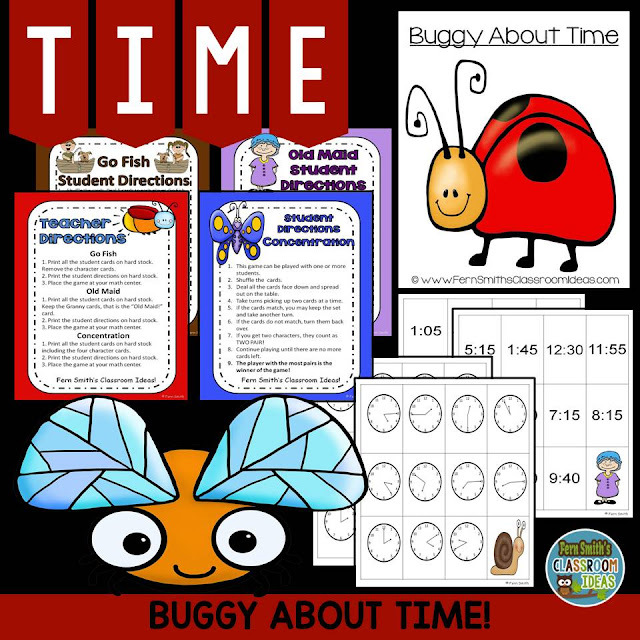 Buggy About Time to the Five Minutes Center Game - Fern Smith's Classroom Ideas! I have revised one of my favorite time centers. Buggy About Time has three ways to play. Go Fish, Old Maid and Concentrations. Student directions are included for each version and the cards are also PERFECT for Scoot or math station task cards. Click here if you already own this resource to download it again! It is $2 off this whole week if you don't already own it.